Our most popular strobe light doorbell. Ideal for hearing impaired or noisy environments. The kit includes a push button and a chime, coupled with a bright flashing strobe. The chime plugs into any available outlet where the chime/strobe needs to be located. 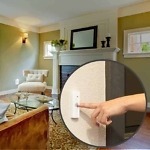 Add on additional chimes around the home or additional push buttons for multiple doors. Quick and easy set up has the system running in a matter of minutes. *If you are looking for an additional push button (or replacement) for your existing WC180, please give us a call to ensure that you match the compatibility. Flashing doorbells are hard to find, especially ones with a strobe light as bright as this one. If you or a loved one has trouble hearing your doorbell, the WC180 (WP180USL) is a great, inexpensive solution. 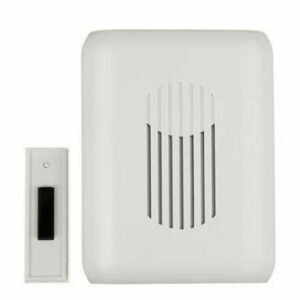 The WC-180 wireless door chime for the hearing impaired is a kit that ships with one wireless button transmitter and one plugin wireless door chime receiver with a bright built in strobe light. It’s hard to miss the flashing strobe when someone rings your doorbell. This flashing chime also works great in loud environments where employees need a visual indicator when the front push button is pushed. With the WC180, you won’t have to worry about interference from other wireless devices! Another great feature that makes this product stand out is the fact that it has 17,000 different privacy codes. This ensures that your neighbor’s door chime won’t interfere with your yours. How to Install This Door Chime with Strobe Light? 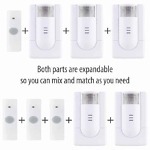 The kit comes with two major components, one plugin receiver and one wireless push button. The push button comes programmed from the factory which means all you have to do is mount the push button outside next to the door and plug the receiver into a standard wall outlet. If you want to change the melody programmed to the receiver or add an additional wireless push button, simply follow the included instructions. Of course, you can always call us at 800-366-7235 and one of our support representatives would be happy to walk you through the process. This product has a range of up to 150 feet. Metal, concrete, stucco, brick, aluminum, and some other materials may interfere with the transmission range of the transmitter to the receiver – if you need a flashing doorbell to work in this type of application please see the LRA-D1000. If you have a metal door frame, we recommend mounting the button with a piece of wood between the frame and button or using the LRA-D1000. Want to put a receiver in another room? That’s easy too. Simply purchase another WC180 kit and plug the receiver into the wall outlet where you want to hear it (make sure you pair it with your push buttons). If you have an additional door you want a push button, simply purchase an add-on button, pair it with the receiver, and you have two doors covered. The WC180 allows for each additional push button to play it’s own tune so you will know which door is ringing. 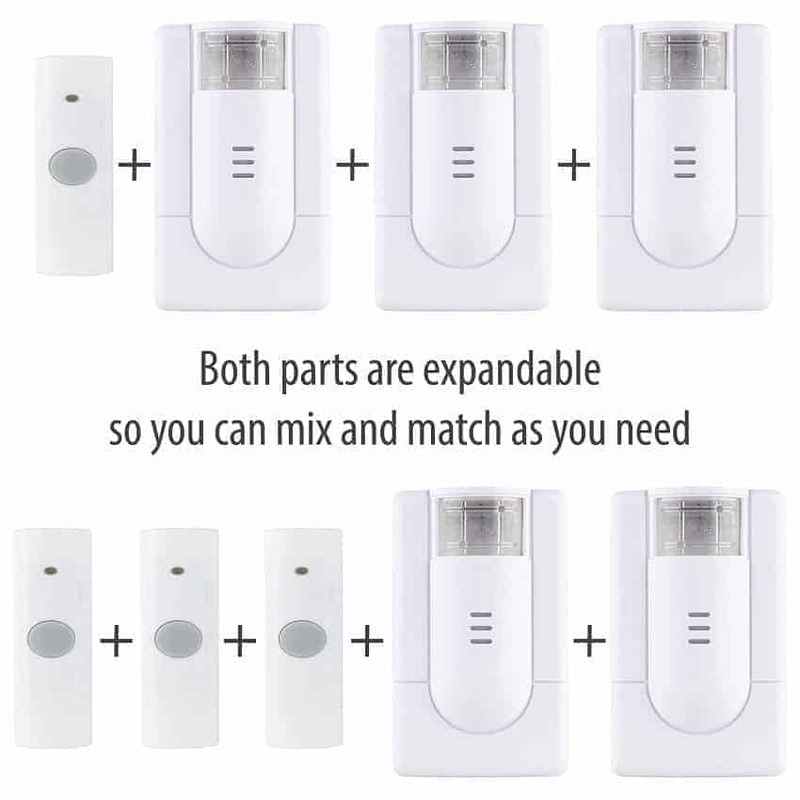 This is an excellent product with one exception, the range from the doorbell button to the bell and strobe light is limited and can be weak depending on the material you are mounting the button. When mounted on the aluminum frame of a storm door the as not enough strength in the signal to ring the bell less than twenty five feet away. Button must be mounted on wood or vinyl siding. Works great. Thanks for offering faster shipping also. This is the exact same item that my cousin needed and had for over 10 years. I see other items of interest on your website, so i'm sure i'll be shopping again soon with you.